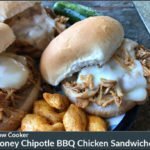 This Slow Cooker Honey Chipotle BBQ Chicken Sandwiches recipe is a sweet & spicy twist on traditional barbecue chicken sandwiches, all cooked up to perfection in your Crock-Pot! The other day I was looking at a a couple of small packs of boneless skinless chicken thighs and thinking that we hadn’t had barbecue chicken sandwiches in a while. 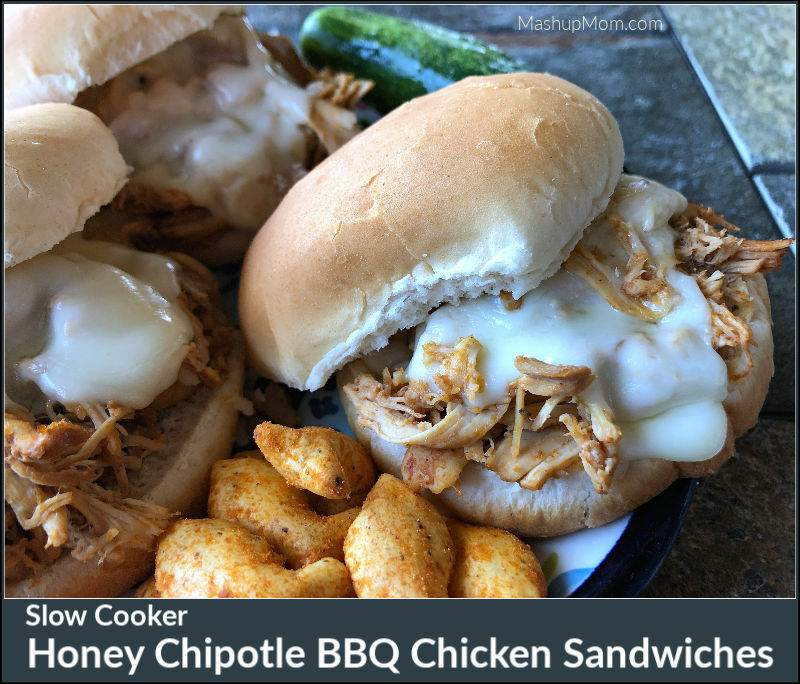 But, since I was also in the mood for a sweet & spicy combo, I decided to take the best of both worlds approach in these Slow Cooker Honey Chipotle BBQ Chicken Sandwiches. 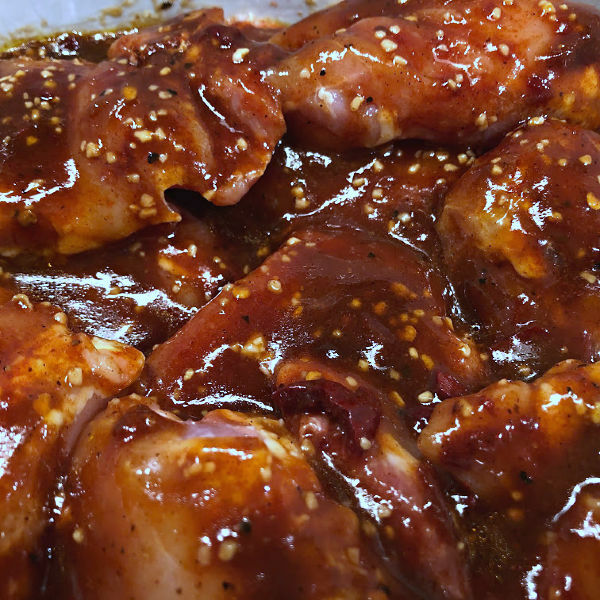 Adding both a touch of honey and a touch of chipotle flavor to the BBQ sauce before pouring it onto the chicken gives it a sweet and spicy zip. And, and letting it simmer away with the chicken, garlic, and a couple of easy seasonings in your slow cooker makes for some pretty simple — yet pretty irresistible — pulled chicken sandwiches! 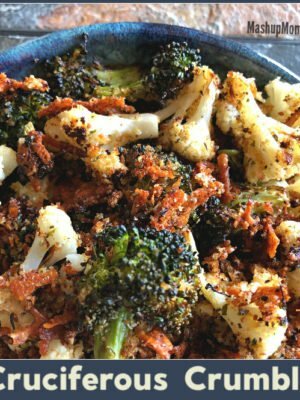 You don’t need a lot of ingredients to get a lot of flavor here. Trim chicken and place it in the bottom of your slow cooker, then season with cumin and smoked paprika. 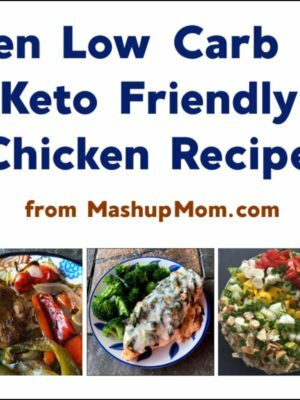 Stir together the BBQ sauce, honey, olive oil, adobo sauce, minced garlic, and chopped adobo in a small bowl, then pour it evenly over the chicken. Cook on low for 5 hours. 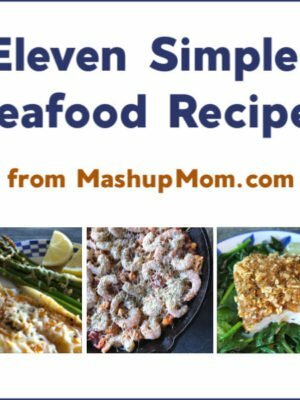 Remove the chicken from the Crock-Pot (discarding liquid), then shred. Yum. 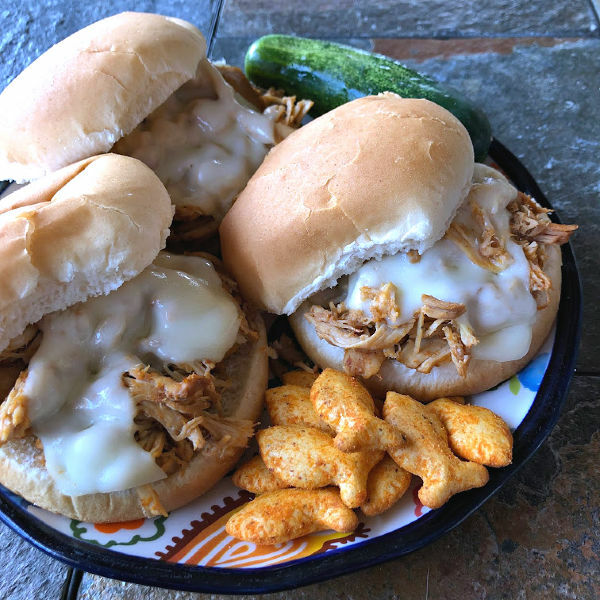 Serve your slow cooker honey chipotle BBQ chicken sandwiches on your favorite buns or rolls, and I also recommend topping these with cheese and serving them with something sour & crunchy (such as pickles or coleslaw) to provide a cool contrast to the sweet & spicy chicken. 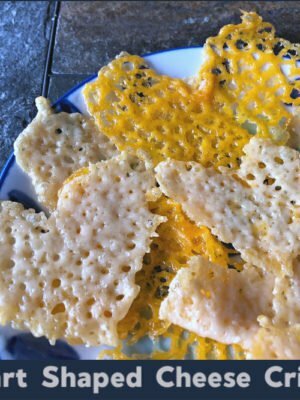 The honey balances out the chipotle in this recipe so that these sandwiches have just a bit of a kick, making it a kid-friendly dinner option. (Middle School Guy will testify to this, since he put quite a bit of chicken away the other night!) Give them a try the next time you’re looking for a slightly different twist on the typical BBQ pulled chicken sandwich. 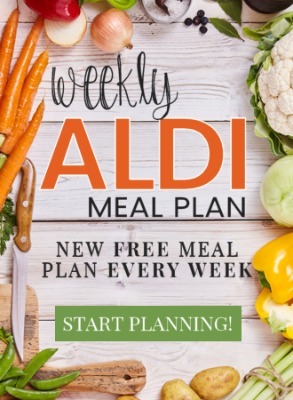 I’m sure you could, although I haven’t tried. 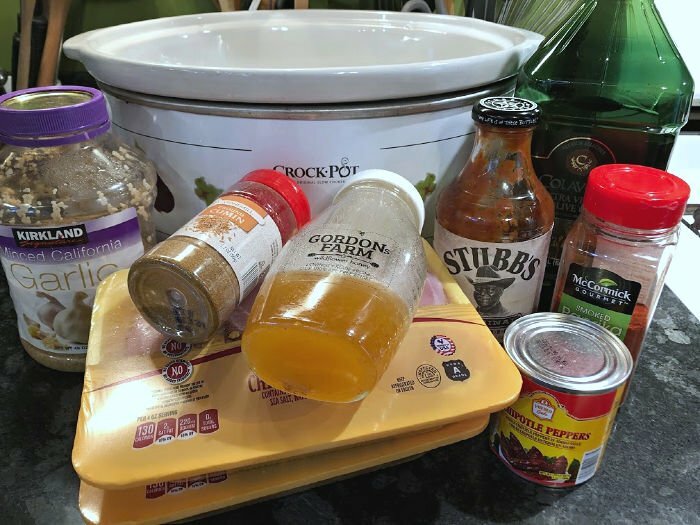 I’d also add about 1/2 cup of water to the bottom of the pot before adding in the chicken and topping it with the spices and BBQ sauce mixture, then give it about 15 minutes on manual high and then let it NR for 10 before releasing the pressure the rest of the way. Let me know how it works!